In May 2013, the Obama administration released a study by the Center for Medicare and Medicare (CMM) on the average costs of the 100 most common inpatient medical procedures. The data focused on about 3,000 general hospitals that submitted 90% of inpatient Medicare claims in 2011, leaving out specialty facilities such as cancer and children’s hospitals. It was a landmark moment, because such numbers have never been collected and released before—and it confirmed that every hospital charges a different price for procedures. Medical spending is usually shrouded in a white coat of mystery, and consumers don’t usually shop around when it comes to their health. But according to the data, maybe they should: In the New York City area, a knee joint replacement may cost anywhere from $15,000 to $155,000. According to a New York Times analysis, here are the top 10 most expensive hospitals in the United States. With four hospitals on the top 10 list, Pennsylvania is far from a bargain hunter’s paradise. The New York Times analysis found that the average bill for a procedure at this Drexel Hill hospital was 3.2 times the national average. Treatment for heart failure and shock averaged $104,478—4.2 times the national average of $25,114. This not-for-profit hospital has 213 beds and ranks average-to-good in patient satisfaction, according to US News & World Report, though it is “high-performing” in three areas: nephrology, neurology & neurosurgery, and urology. With six hospitals on this list, California is the other no-go state for a health-care bargain hunter. In 2011, the Regional Medical Center of San Jose charged an average of 3.2 the national average for inpatient procedures. While a major small and large bowel procedure might cost you a measly $65,482 at the average hospital, this hospital charged an average of $307,162—4.7 times that. This partnership hospital has 216 beds and ranks average in patient satisfaction, according to US News & World Report. Also charging 3.2 times the national average, Garfield Medical Center in Monterey Park stretches even further. The hospital charged an average of $241,654 for renal failure–6.1 times the national average of $40,259. 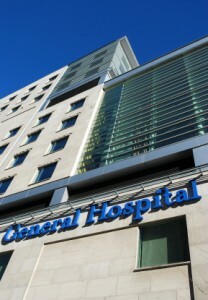 This partnership hospital has 210 beds and ranks average in patient satisfaction, according to US News & World Report. If you have cholesterol problems, you may not want to experiment with Philly cheesesteaks too close to Temple University Hospital in north Philadelphia. The hospital charged an average of 3.3 times the national average in 2011; a pulmonary edema and respiratory failure cost an average of $152,530—4.8 times the national average of $31,953. 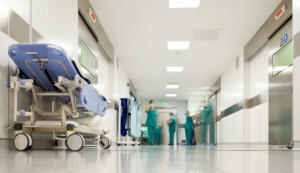 This not-for-profit hospital has 730 beds and ranked mostly average in patient satisfaction, according to US News & World Report, though it is a “high-performing” hospital in eight areas: cancer, gastroenterology & GI surgery, gynecology, nephrology, neurology & neurosurgery, orthopedics, pulmonology, and urology. Located in Fremont, Washington Hospital charged an average of 3.4 times the national average for procedures in 2011. The worst culprit was respiratory system diagnosis with ventilator support, which ran $918,023 for treatment lasting more than 96 hours and $275,926 for less than 96 hours—6.6 times and 4.5 times the national average, respectively. Washington Hospital has 332 beds and ranked average-to-good in patient satisfaction, according to US News & World Report, though it is a “high-performing” hospital in three areas: nephrology, neurology & neurosurgery, and orthopedics. Yet another Philly hospital on the list, Hahnemann University Hospital charged an average of 3.4 times the national average in 2011. Philly residents will have to continue to search for a place to treat pulmonary edema, because Hahnemann charged even more than its #7 brethren for the procedure–$169,832, or 5.3 times the national average of $31,953. The corporate hospital has 496 beds, average-to-good patient reviews, and a stellar reputation—it’s nationally ranked in cancer (#46), cardiology & heart surgery (#37), diabetes and endocrinology (#44), gynecology (#38), and neurology & neurosurgery (#45). It’s also a “high performer” in gastroenterology and GI surgery, geriatrics, nephrology, orthopedics, pulmonology, and urology. The Modesto campus of Doctors Medical Center may bankrupt you by charging 3.4 times the national average for inpatient procedures. Try not to ingest any toxic substances nearby, because this hospital charged an average of $187,715 to treat poisoning and toxic effects of drugs—4.8 times the national average of $39,322. This corporate hospital has 441 beds and ranked mostly average in patient satisfaction, according to US News & World Report. Residents of Fairfield, beware: your local hospital charged 3.7 times the national average for inpatient procedures in 2011. In fact, Modesto fans of substances may do well to stay home for treatment, since this hospital charges even more to treat poising and the toxic effects of drugs–$236,456, or 6.1 times the national average of $39,322. This not-for-profit hospital has 157 beds. Patient satisfaction rankings are unavailable, and it ranked generally low (27-37 out of 100) in all of the named specialties, according to U.S. News and World Report. An affiliate of the #10 hospital on this list, at an average of 3.7 times the national average, Crozer-Chester is the second most expensive hospital in the country, according to the New York Times analysis. Almost every procedure listed, Crozer-Chester charged more than double the national average; treatment for simple pneumonia and pleurisy cost $140,772—4.7 times the national average of $25,349. This not-for-profit hospital has 507 beds and ranked average in patient satisfaction, according to U.S. News & World Report. The otherwise average-looking Bayonne Medical Center, located in a blue-collar New Jersey town about 11 miles from Manhattan, made national headlines this spring when it topped a number of the CMM lists for high cost of common procedures. The New York Times analysis found that, on average, the bill for a procedure at Bayonne was 4.1 times the national average. For some procedures, the number was even higher: a person suffering a transient ischemic attack, a.k.a. a mini-stroke, paid an average of $120,040 for treatment at Bayonne—5.6 times the national average of $21,830.05. The corporate hospital has 173 beds and ranks mostly average in patient satisfaction, according to U.S. News & World Report.